123-acre Simi Valley estate listed for $75 million in 2007, sold for $33 million in 2015. Only a few years have passed since Hummingbird Nest Ranch was being fast-tracked to become Simi Valley’s first five-star resort, complete with a 105-room hotel, 59 single, duplex, and triplex buildings featuring 98 casitas, restaurants, swimming pools, conference center, surgical center, and convention center in a converted horse barn. Located less than an hour from downtown Los Angeles, the 123-acre parcel was (and still is) considered one of the most desirable larger tracts in the region and is almost completely surrounded by public parkland that will never be developed. But the market did not respond favorably when owner David Saperstein put the property on the market for $75 million in 2007. Seven years later, he relisted the ranch for $49.5 million, a price that included extensive approvals from the City of Simi Valley. Late last year, it sold for $33 million to Kieu Hoang, the Vietnamese-born head of Agoura Hills-based RAAS Nutritionals. This cautionary tale of over-improvement begins with the founding of Metro Networks, a national traffic-reporting service, by Saperstein in 1978. In 1996, he took his brainchild public. Three years later, Metro Networks merged with Westwood One. In 2000, Saperstein’s Five S Properties Ltd. acquired the Simi Valley acreage. 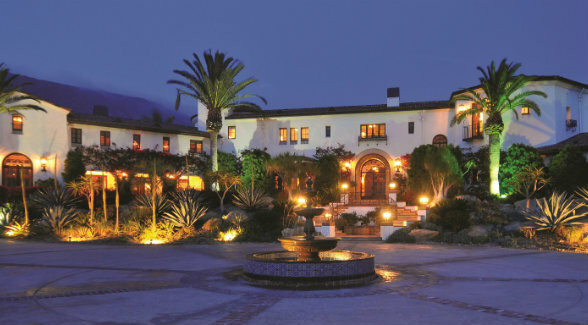 Renowned architect Richard Robertson was commissioned to create a 17,000-square-foot Spanish hacienda. Additional structures were built, including three riding arenas, 16 guesthouses, and a 20,000-square-foot horse barn. By 2004, the showcase property became known as Hummingbird Nest Ranch. In 2005, however, existing plans went awry when Saperstein filed for divorce. According to W Magazine, Suzanne learned the news while she was flying to Europe on the Sapersteins’ Gulfstream IV. When the jet made a stopover in Texas, she was served with divorce papers. “David, it turned out, was dumping her for the family nanny, Hillevi Svensson, who was also tall, blond, and Swedish — but only 32,” wrote Christopher Bagley in W.
The popular and pricey event venue has hosted a slew of celebrity weddings, corporate conferences, and equestrian events. In 2007, Saperstein put the property on the market for $75 million. 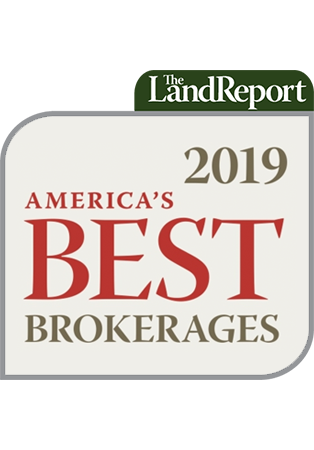 A number of factors — pricing, the onset of the Great Recession, the scale of the improvements, or perhaps all of the above — proved prohibitive. No buyer emerged, and Hummingbird Nest Ranch was taken off the market. A new, more ambitious approach was soon in the works. Sapertstein turned to developer Dean Kunicki to transform his private ranch into a catalyst for tourism and hospitality in Simi Valley. Their plan coincided with efforts by the City of Simi Valley to entice more Los Angelenos to make the hour-long drive to nearby Ventura County. The permitting process required years of effort and untold investment, but Kunicki delivered. By 2014, the Simi Valley City Council greenlighted the general plan, zoning changes, and necessary environmental approvals. Not long afterward, Hummingbird Nest Ranch was back on the market for $49.5 million, including existing approvals from the city. Kieu Hoang closed on the property in November. The final purchase price? $33 million. According to Paige Gordon of Keller Williams Realty, the new owner plans to turn the ranch into a wellness retreat. She told the Ventura County Star that Hoang has no plans to build “a full-blown hotel.” Drew Mandile and Brooke Knapp of Sotheby’s International Realty were the listing agents.